Run by E-Car Club, part of Europcar Mobility Group, the scheme provides 18 Renault Zoe hatchbacks, which can be booked for an hour or several days at a time. Prices start from £3.50 per hour and £25 per day, and cars can be booked online or via the mobile app and accessed via members’ RFID cards. The scheme is being supported by EIT Climate-KIC, Solihull Council and Solihull Community Housing Association (SCH). 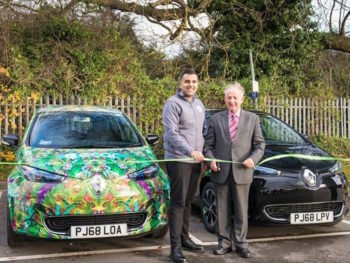 Patrick Cresswell, managing director of E-Car Club, added: “We are delighted to give North Solihull residents the opportunity to integrate electric vehicles into their everyday lives through E-Car which offers a self-service, low cost and low emission car club. It’s a flexible solution for drivers who don’t want to commit to car ownership but need access to a car from time to time.